The PIAA released the second of its weekly District 3 Power Rankings on Monday, so we’re breaking down who’s in, who’s on the bubble and who has work left to do to make the District playoffs. Schools are listed by classification and only Hanover-Adams teams are included. The good news for the Mustangs: Andrew Hartlaub scored again and the defense looked much better against Central York (19th in Class AAAA). The bad news: The Mustangs lost a heartbreaker in overtime, after Brock Geiman was picked off in the back of the end zone on a controversial ruling. They're still eight spots out of the final playoff spot, the window to bounce back is closing and the teams that are currently in playoff slots are pulling away. That 16th team, however, is Red Lion. 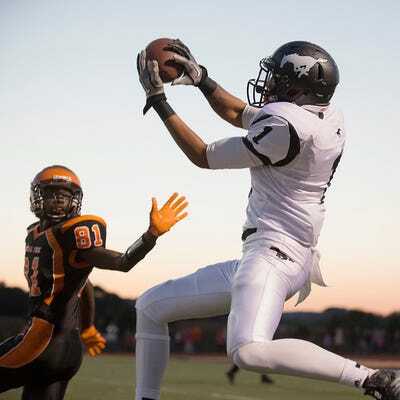 Who does South Western play this week at the Corral? Red Lion. A win for either team could go a long way. The Warriors took out their pent-up aggression from the loss to Dover on the other Warriors of the YAIAA, Susquehannock. Gettysburg put up 63 points and the offense looked fluid. However, the win against a weaker team only moved Gettysburg up two spots. If the playoffs started today, the Warriors would have a first-round matchup against division-foe, West York (7th in Class AAA) . The Warriors host the Bulldogs and Conrad Weiser (8th in Class AAA) in October. You couldn't be more on the bubble than the Rockets, who are currently in the 16th and final playoff spot, only percentage points from being on the outside looking in. Spring Grove's shutout win at New Oxford, combined with losses by other AAA teams, allowed the Rockets to move up eight spots. More good news for Spring Grove: Nick Erickson and Shay Feulmer returned from injuries and each looked strong in their returns (Erickson-two passing touchdowns, Feulmer-two rushing TDs, one passing TD). At least the Colonials aren't in last anymore, right? Despite being shut out, 35-0, New Oxford moved up from 40th to 37th in the PIAA rankings. Just another Friday night in York Springs. The Eagles shut out Fairfield, 48-0. Bermudian has given up 27 points in five games. At this point, Bermudian is only a few percentage points behind Wyomissing and Berks Catholic for the top two spots in Class AA. The Canners continued their surprise campaign with a win over York County Tech, moving them from 9th to 7th. Coach Ramos said he believes his team could be 5-0 after two close losses, but regardless, a District playoff appearance would do wonders for the program. Biglerville gets a road test at Delone Catholic this Friday, in what should be a very good game. Keep an eye on the Canners' stingy defense as it tries to bottle up Delone's potent running attack. Losses by the Bolts and Nighthawks only widened the gap between them and the playoffs. Both teams are probably just focused on improving and showing signs of progress as opposed to thinking about the playoffs. The Kyle Krout-Dylan Krieger duo at Hanover has been fun to watch and Littlestown's defense looked much better against Delone than it had in previous weeks. Class A--Top 4 teams qualify for the District 3 M&T Bank Championships. Fairfield had moved into second place in YAIAA Division III before falling, 48-0, to Bermudian Springs. 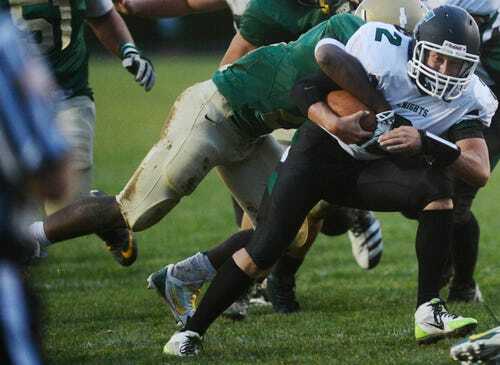 It could be a hit to the Green Knights' egos but it didn't hurt their ranking much. Mason Flickinger has led a passing attack, but the defense and running attack need better performances in the coming weeks for Fairfield to lock down a playoff spot. Fairfield's next two games, both home against Hanover and York County Tech, could have the Green Knights at 5-2 heading into week 8. 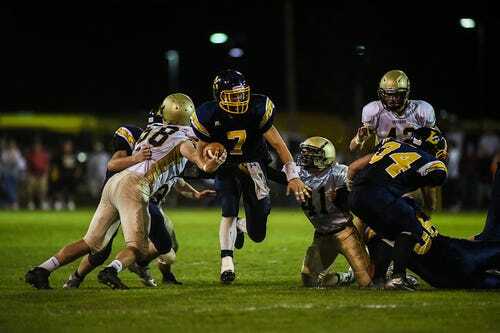 With their 30-19 win over division-rival Littlestown, the Squires moved up four spots and moved onto the bubble. Delone now has the final playoff spot in Class A, but has to face Biglerville, Bermudian and Fairfield over the next three weeks. Going at least 2-1 in that stretch would be huge for Delone. It will be a good measuring point to gauge just how good Brian Shermeyer, Jake Kadis and the rest of the Squires are.